Has your stress become a disorder? But you don’t have the inclination or time or money to book months of weekly traditional talk therapy or counseling? 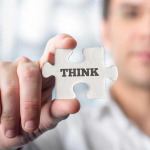 Low Intensity cognitive behavioural therapy sessions may be the solution for you. 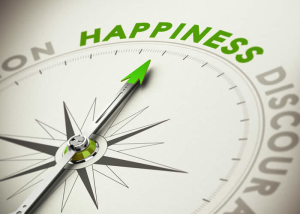 Learn the science of how and why you think and feel and behave as you do, and how to manage and change it when you over react emotionally to things, and have self sabotaging behaviours. 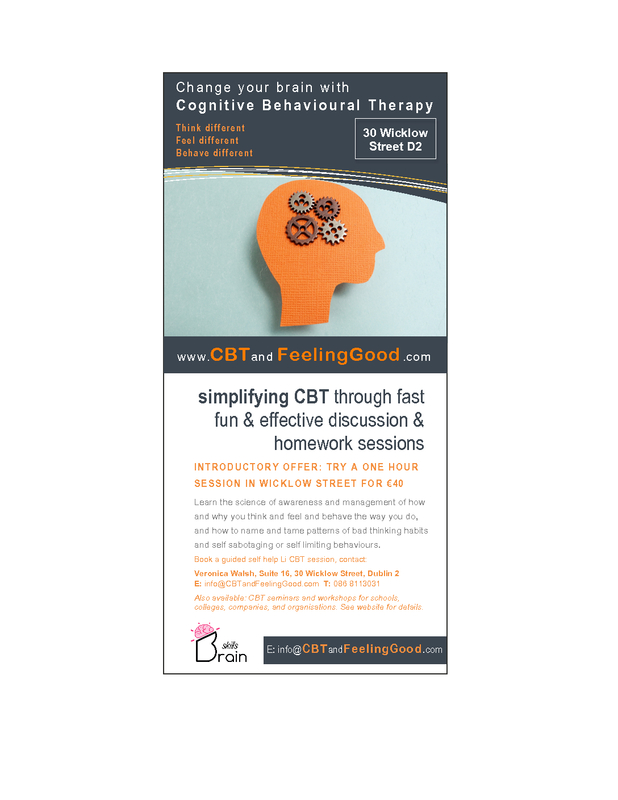 This is also known as ‘cognitive behavioural training’ – using best practice CBT, but in a fast ‘skills’ model of discussion and homework. 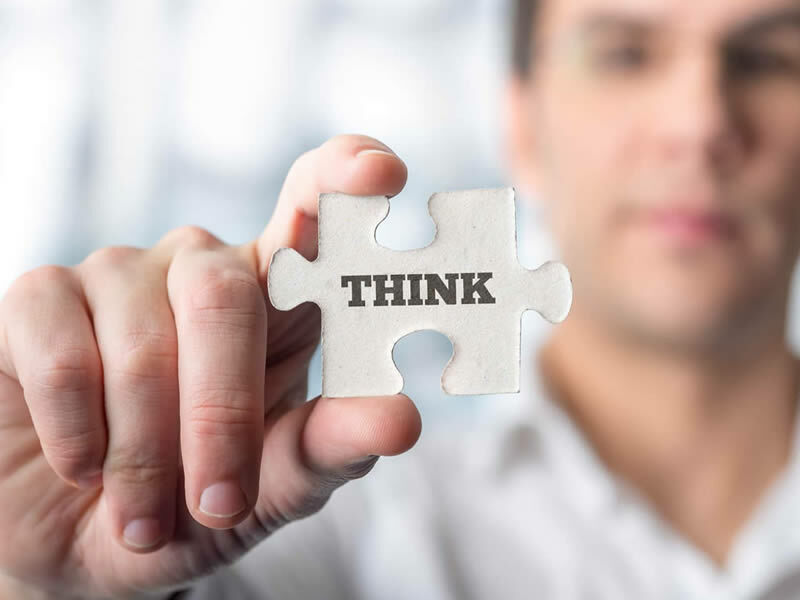 I also include other essential cognitive science information (from neuroscience and evolutionary psychology, through to basic biology and the central nervous system) – giving you great new skills in self management. Group Workshops Page (for companies/organisations). 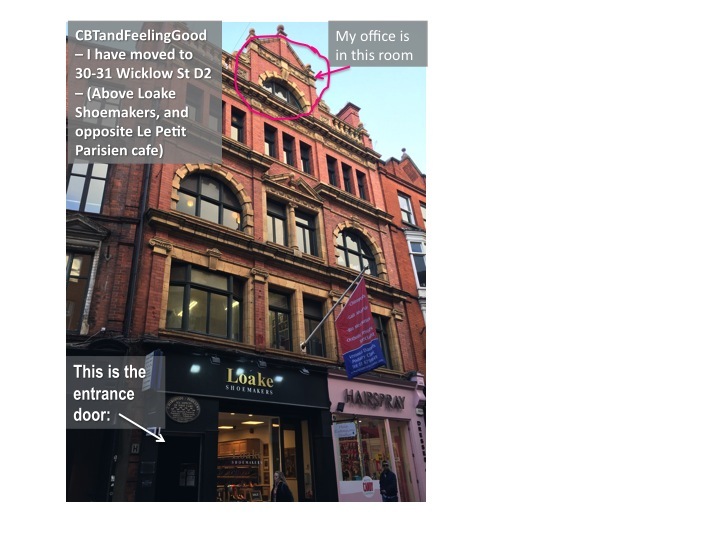 Book a no-strings introductory session for only €45 – see if it fits you… click HERE to download a voucher – or simply call, email, or contact me through my Contact Us page query form, to make a booking for a session in the 30 Wicklow Street Dublin city centre office. 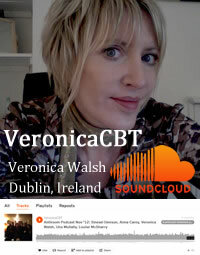 (Informal discussion based, with take-away homework and access to a free self help resource blog). 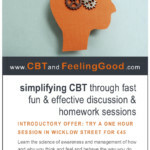 CBT and Feeling Good take therapy out of the traditional counselling rooms and ‘train’ you in CBT theory and the practical methods and techniques that will fit right into your busy life. 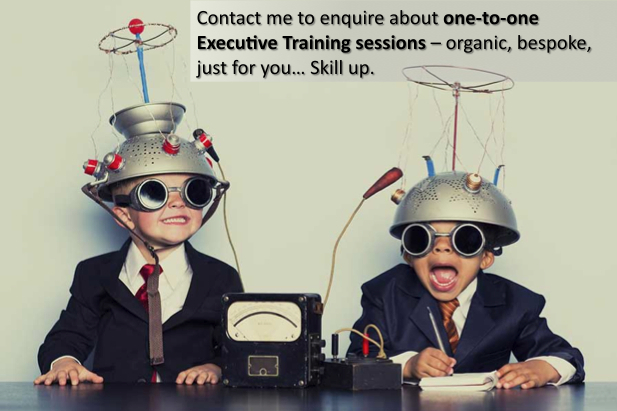 These are fun and practical ‘learning by discovery’ sessions that anybody can do. It is a mixture of discussion and homework. You just bring yourself and I’ll take care of everything else. You won’t have to wait months to comprehend and practice to start getting obvious results; it can be immediate and lifechanging – just as long as you’re willing to self-critique and put in the work. 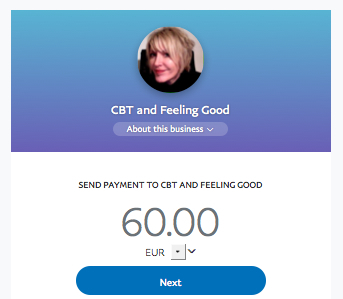 CBT can be used successfully by everybody to cope with life and the changes and stresses it throws at us, increasing well-being and emotional health, while improving knowledge and skills in self management. It is a philosophy for living – every bit as important as exercise and nutrition! The general number of sessions attended are 4 to 8 – this is an organic process, and will depend on you and your individual needs. Low self esteem, Social Anxiety, Excessive Worrying, General Anxiety, Anger Management, Stress Management, Panic Attacks, Chronic Fatigue Syndrome, Depression, Eating Disorders, General Health Problems, Mood Swings, OCD, Phobias, PTSD,Sexual/Relationship Problems, Insomnia, Procrastination, Pessimism (and other associated disorders). You might choose to use the sessions as an ‘introduction’ to therapy, where you will go on to attend a private practitioner for further development if you discover you need long slow ‘treatment’ – or if you have low to moderate anxiety or depression, or indeed a common or garden stress disorder, you might use it as a premium ‘self help’ product, working with me over a few sessions, building awareness and real skills that you can take away and APPLY as a new philosophy of living over time, literally changing how you think and feel and behave, improving your work and personal life yourself by ‘becoming your own therapist’ (without the extended time and expense of years of traditional therapy).